For some mindful eating is that thing they should do and never make time for OR it’s the next thing they hope will “work” to induce weight loss. My guests today Lilia Graue and Michelle May help unveil these myths and more in our conversation. They are both doctors, HAES informed practitioners and mindful eating experts. In this episode we will help those who aren’t yet big fans of mindful eating for well being enhancement (not weight loss) to give it a try. 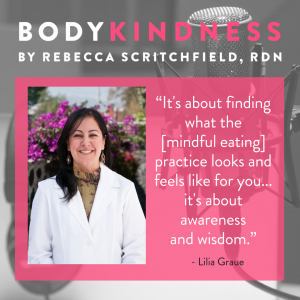 Lilia Graue is a physician and psychotherapist with specialties in mind-body medicine, mindfulness and compassion based programs, and eating disorders. She believes in compassionate care that honors our wholeness and brings us closer to radical presence, fierce embodiment and joy. She practices at the intersection of different healing modalities, centering your lived experience and your body as a source of knowing. Her practice is rooted in intersectional feminism. It is trauma informed, weight inclusive and trans inclusive, and grounded in the principles of Body Respect, Body Trust® and Health at Every Size® (HAES®). Lilia is Mexican and provides services in both English and Spanish. She offers online coaching and support, in addition to her private medical practice. A note from Lilia: Re-learning language is a process. 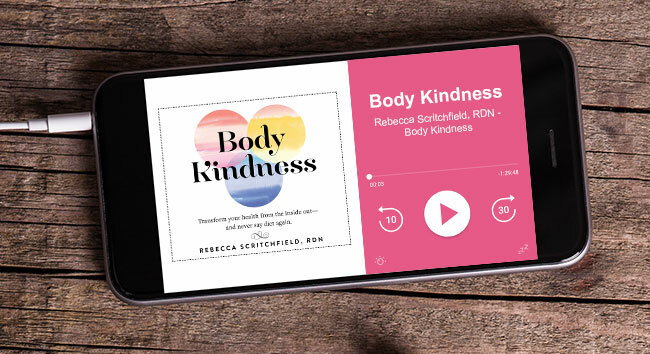 After recording, I deeply regretted my use of the words “crazy” and “insane”, and wish I’d said “absurd” and “nonsensical” when referring to what goes on in research on mindful eating and outcomes. May we all hold our mistakes in compassion and offer ourselves and each other patience with the learning process, as we continue to examine and challenge internalized bias and oppression on the path to liberation. Michelle May, M.D. is a recovered yoyo dieter and the founder of Am I Hungry? Mindful Eating Programs and Training. Over 700 health and wellness professionals have been trained to facilitate Am I Hungry? programs worldwide. 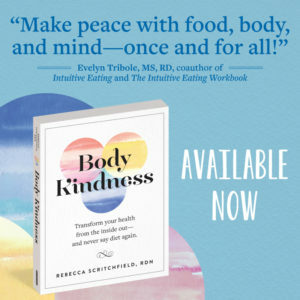 Dr. May is the award-winning author of the book series, “Eat What You Love, Love What You Eat” that teaches mindful eating for yo-yo dieting, diabetes, bariatric surgery, binge eating, and for students and athletes.